Okay . . . I give up . . . in what year did the Mk-38 GFCS enter service. I'm working on a 1934 Refit and I don't need any more mistakes. The Mk38 Gun Fire Control System (GFCS) controlled the large main battery guns of Iowa-class battleships. The radar systems used by the Mk 38 GFCS were far more advanced than the primitive radar sets used by the Japanese in World War II. The major components were the director, plotting room, and interconnecting data transmission equipment. The two systems, forward and aft, were complete and independent. Their plotting rooms were isolated to protect against battle damage propagating from one to the other. Yeah, I read that too. But it was also used on the South Dakotas and North Carolinas also. These two classes may have been retrofit. I guess what I'm trying to say is that knowing that the Iowas had the Mk-38 doesn't mean that they were necessarily the first to have them. Last edited by David Latuch on July 14th, 2015, 6:24 pm, edited 1 time in total. yeah you probably need to wait to Colo to get back on.. he have the knowledge on that era of US equipment. I hope I'm not out of line by saying the Browning .50 cal on this sheet leaves a lot to be desired, in my opinion. I made this and I think it's more accurate, but that's up to everyone to decide. I am not entirely certain on the differences between a/b/c versions (I have my workfile saved so I can make amends if I am wrong) but here is a long awaited part.... the AN/SPG-55 Terrier director. Which of these SPG-55 was used on Garibaldi CLG? SPG-55C should be the last NTU variant for RIM-67 in 1980's. 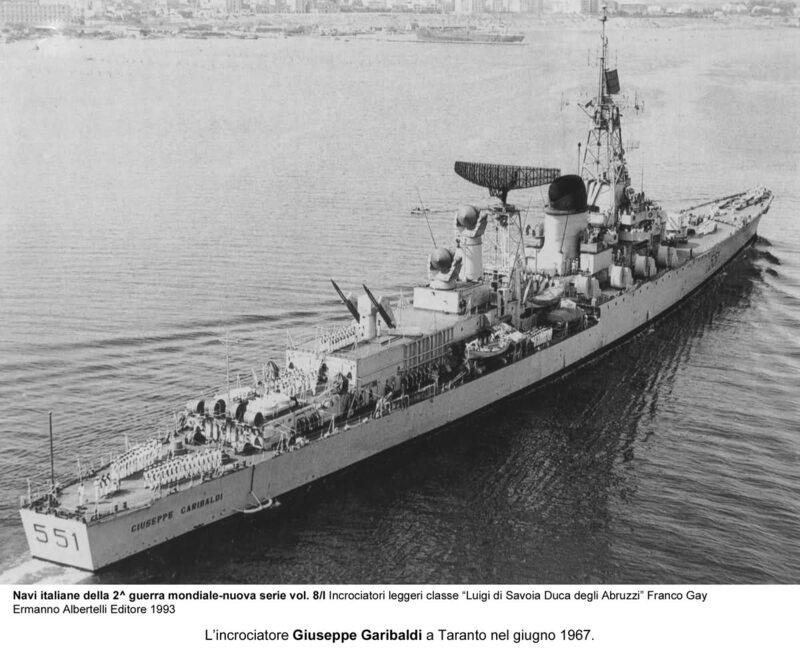 I have seen some photos of Garibaldi CLG , but I am not sure if she had SPG-55A or -B. As ypu can see on this picture, it have only one small dish (or whatever it is) mounted next to the SPG-55, and it is only SPG-55A drawing that have it, SPG-55B and C have on both side. Yes, it seems to SPG-55A. The ideal is to find a photo taken from the oppsite side, but considering the timeline of conversion is very possible to be -A (1957-1961). I have yet to fully match the drawings with these 5 versions, but it migth be that there is just the basic SPG-55 with one dish next to the main antenna and all other versions look the same apart from a bit of paint.